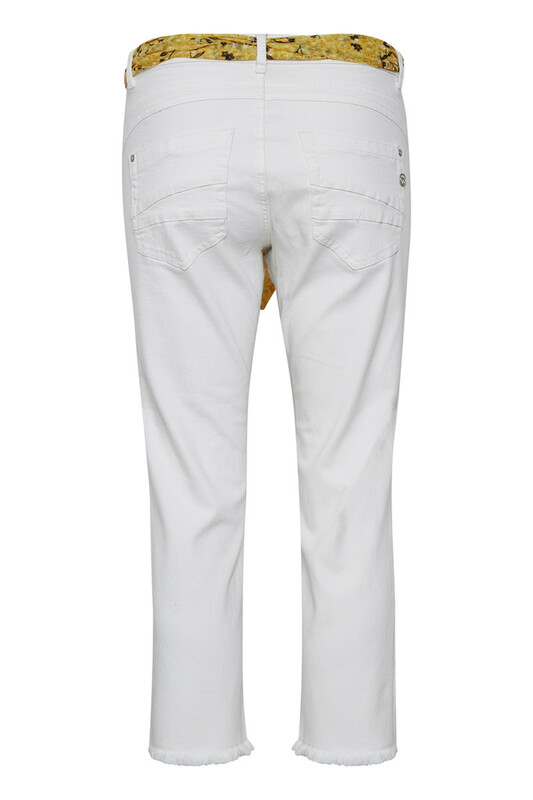 Beautiful 7/8 jeans with good stretchy quality. 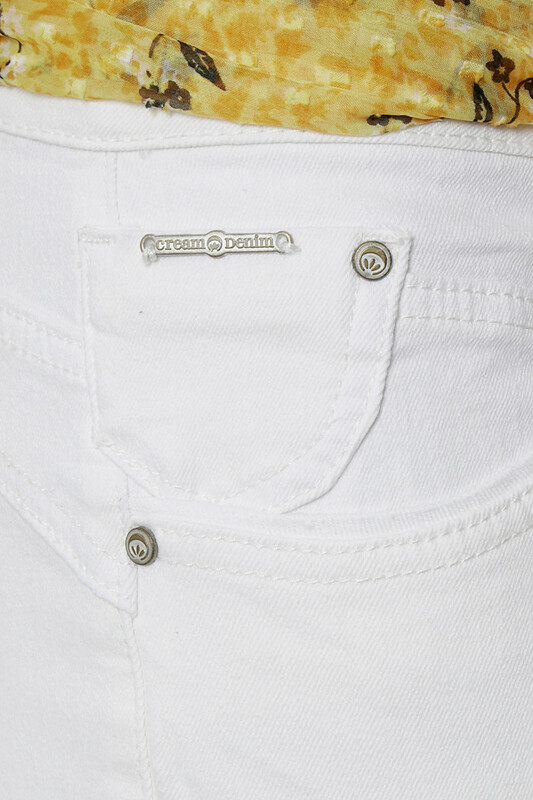 These soft trousers from Cream are comfortable, have belt loops and button and zip fastener. 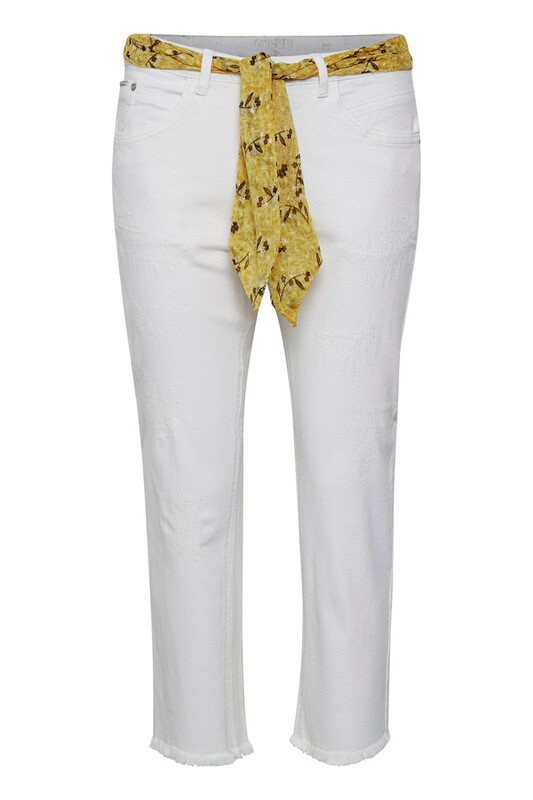 The eye-catching part is the decorative belt in trendy colour that creates a cool look for the pants. The belt can also be removed and used as desired. The pants also have fringe details at the bottom. The pants have a regular fit. 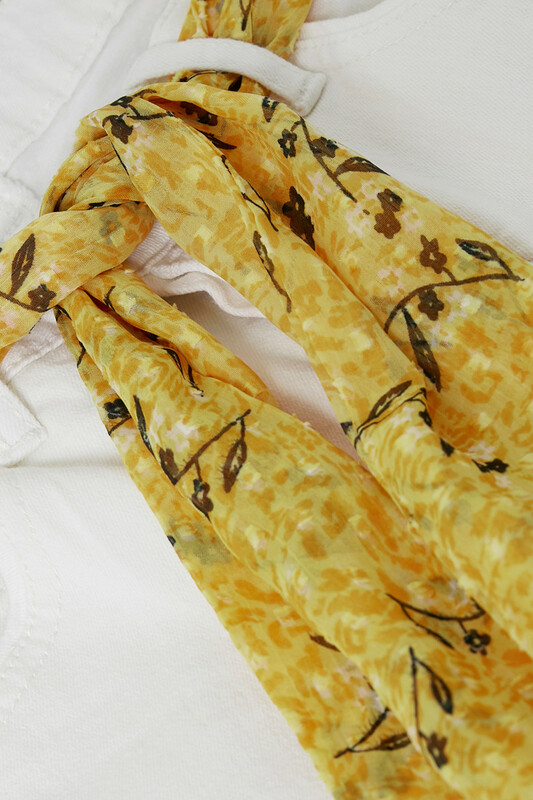 Use them with a feminine blouse and a pair of cool sneakers for a cool everyday outfit.